There has never been a better period for people who are trying to break free of addiction. Modern technology has triggered an explosion in the number of recovery resources and most of this is free to use. Up until about 20 years ago, the resources available for those dealing with addiction were limited. Bookshops and libraries would usually have a few books dealing with recovery, but the selection tended to be limited to the most popular titles. Nowadays, it is a completely different story – millions of recovery resources are available online and every approach to recovery, no matter how bizarre, is covered. There is on average 100 hours of video uploaded to YouTube every minute! The percentage of this content related to addiction recovery is only a small proportion of this but it is still thousands upon thousands of hours of free content; more is being added every day. Many people find it easier to absorb information when it is presented in a video rather than in written form and, as well as this, it tends to be far more entertaining also. Many vloggers (video bloggers) talk about their recovery on YouTube, and this content can be particularly motivating. The internet never closes, which means people are always available to offer you support and advice. Negative thinking and cravings can arise at any time of the day or night; even if it is so late that everyone you know is asleep, you can still find friends online. The ability to speak to someone when you are feeling weak could prevent a relapse, so this is certainly one of the resources you need to be aware of. Smartphones and tablet devices allow you to use apps and access the internet no matter where you happen to be, as long as you have internet access. One of the other things about mobile devices is that these allow you to access material discretely. For example, imagine you are at a social occasion where people are drinking and you are start to feel uncomfortable. It could be too embarrassing to take out a recovery book from your bag and begin reading it, but you can access this same content using a mobile phone with nobody ever noticing. It also means you have a library of recovery material with you no matter where you happen to go. Something now obvious is that no one approach to recovery works for everyone. There will be a path that works for you, but you may need to do some experimentation to find the most appropriate tools to fit your temperament and personality. The internet means you are not limited to the recovery options available in your area, and you can find out how things are done in other parts of the country or the world. This can be important if you come from a small town or rural area where the recovery resources are particularly limited. It is probably not a good idea to replace real-life support with online support, but there is no reason why you cannot benefit from both. One of the exciting innovations available these days is online recovery sponsors/coaches and you can use technology like Skype to facilitate communication. Another option is find a recovery-buddy whereby you help each other stay sober by sharing experiences and advice, and offering support. A blog is a type of online journal that others will be able to read. This is a particularly good way to use the internet to strengthen your recovery. By committing to writing regular posts (at least once a week), you will be able to gain insights into your new life while charting your progress. If you allow comments, you will also be able to receive feedback from your readers. Your recovery blog is not only a way to strengthen your own recovery; it can also be a great resource for others. If your website becomes popular then it means that you can build a community in which you are all supporting each other. Online web forums are an excellent source for advice, support, and encouragement. These communities are made up of people of all levels of sobriety, so you can benefit from a wide range of opinions and experience. The best way to get involved is to introduce yourself and ask a question. There are also sections of these online recovery communities in which you can just chat about anything; this can be a good place to go if you are feeling lonely or fed up. The most amazing thing about all this modern technology is so much of the available resources are free to use. As long as you have internet access along with a computer or mobile device, you will be able to access almost limitless content. There is really no need to waste money on recovery books or other material as most of this will be available for free somewhere, although you do want to avoid pirated material. There are now many apps and websites designed to track your behaviour; for example, a food diary app can help you avoid comfort eating. The fact that you are monitoring a behaviour usually makes it easier to make positive changes. It works because monitoring reminds you of what you need to do, while it makes you feel more accountable because you do not want to see the proof that you are failing at a goal. New recovery innovations are being created all the time and it is incredibly exciting to think about what things will be like in a few years. Maybe by 2025 you will be able to visit a virtual recovery meeting that looks completely real, being there to share the experience with people from all around the world. There is no telling how much more technology will be able to help people dealing with addiction. There is no doubt that recovery resources can be a real asset for anyone trying to recover from addiction, but it is important to remember that there can be a dark side to this technology as well. 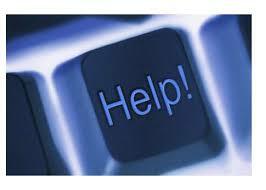 Some people give up an addiction to alcohol or drugs only to relapse with an internet addiction. You need to be careful to only use this resource in moderation, while keeping your eye open for any signs that you may be using it as a way to escape reality. It is also vital that you develop relationships with real people in the real world and do not try to replace this with online friends.